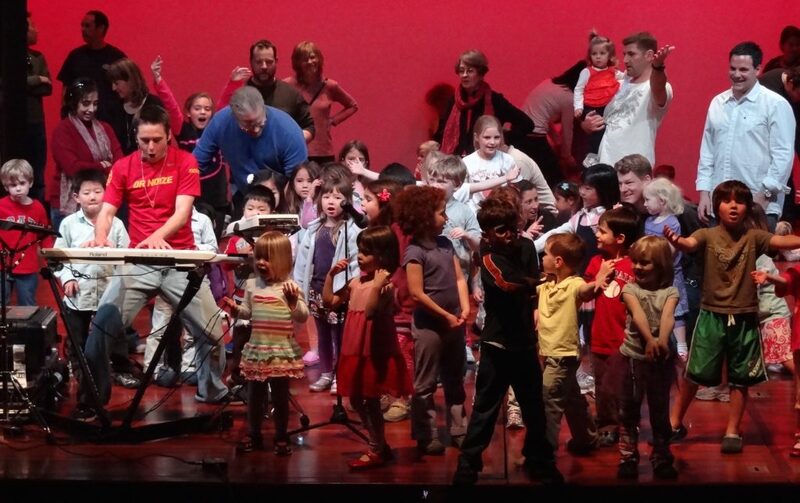 Multi-instrumentalist and singer Doctor Noize takes audiences of all ages inside the creative process with positive, high-energy, interactive shows featuring bold musicianship from acoustic shows to live loop-recording technology. Thanks for the great show at the Bay Area Discovery Museum. It was my son's 4th birthday. He loved the show & listened to the CD the whole way home & then again at home. Doctor Noize — a singer and multi-instrumentalist with a passion for interactive pop/rock and a degree in classical music from Stanford — dazzles and inspires audiences to be musicians and creators themselves. With his one-man-band of instruments and deep expertise in electronic music looping technology, the Doc arranges and records music live and lets every kid know “you can be a big star, you can have your own act” in his Doctor Noize Live! show. Eager to bring his adventurous musical message to all, the Doc also plays acoustic Unplugged Shows for smaller venues, libraries, and scaled-down events. Unplugged Shows can be accompanied by a Doctor Noize Book Reading, and all shows can be booked in conjunction with both curriculum-based and live Teaching & Learning opportunities. Explore your Genius. Join The Band! Kids are the most adventurous audience in the world. Their enthusiasm makes us better listeners as parents and teachers. It’s imperative that we bring kids positive energy and inspirational musical substance in shows. They’re forming their minds; they’re forming their level of sophistication; they’re forming our future.